Welcome to Fusion Locksmiths. Based in nearby Mascot, we have been servicing Carlton and the St George area for many years. Experienced in the home and commercial security, we provide our locksmith services to home and business owners. 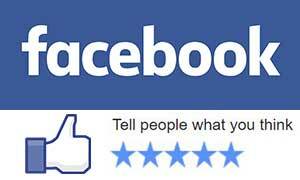 Just take a look at our hundreds of 5-star reviews on Google to learn what all the fuss is about. In short you can expect friendly and honest service at competitive prices. We also work efficiently to get your lock problem solved in the quickest time. Fusion locksmiths are your perfect solution to un-jamming locks and installing new lock and even security systems. We ensure your home, family or business is safe and secure. Have a large or smaller job? No matter. 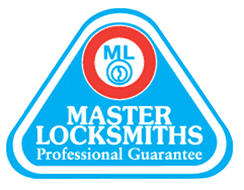 We always provide 100% quality in all our locksmith services. Also we offer an outstanding 18 month warranty on our work. We are committed to working within your budget restrictions while giving you superior services. We are always ready to offer our experienced advice regarding home and business security to ensure your premises in Carlton is safe and secure. Fusion Locksmiths are proud to offer our professional locksmith services 24 hours a day, 7 days a week within Carlton. Give us a call anytime. As soon as we get an emergency locksmith call in Carlton, we respond lightning fast. Call us now, hire our services and enjoy a great experience. Our Carlton Locksmiths know how to respond to emergency situations by quickly restoring security in your home in the shortest time possible. We repair damaged and broken locks. Let us ease your stress when you lose your keys causing lack of access to your home. When you hire the services of Fusion Locksmiths, you can rest assured that we will repair all door locks, door jambs, and window locks. We ensure full security is returned to your property after a break and enter. Our well-qualified locksmiths have the relevant qualifications and licenses needed to handle your security challenge with expertise. Our Carlton locksmiths are also fully insured and thoroughly experienced. We also work closely with police to ensure we are up to date with crime and burglaries in the Carlton area. We know how to secure your home to protect against trends and common property vulnerabilities. Fusion Locksmiths are aware of the security standards that should be met and security legislation in Carlton. Hire our services today and get the best locksmith services available to you. We are only a phone call away and offer our services 24/7 for all type of locksmith emergencies.